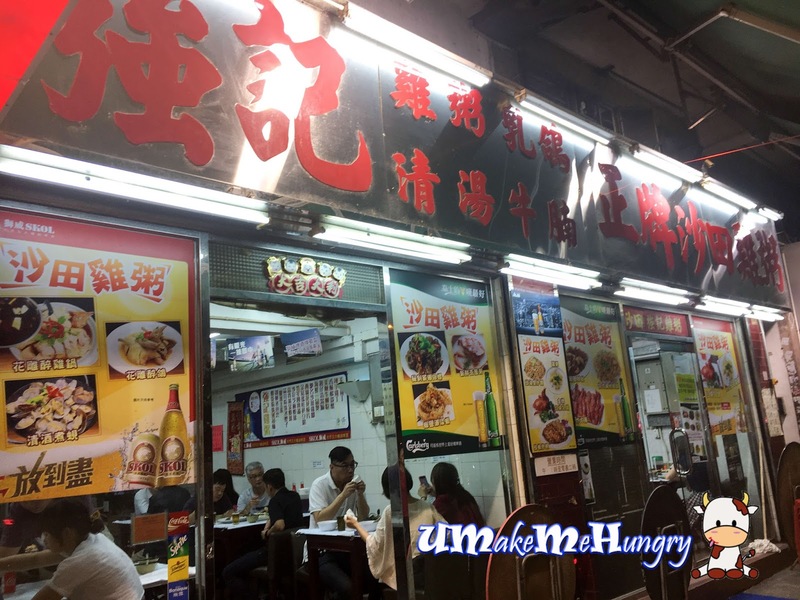 Upon hearing my colleagues taking us for porridge, I was elated as most of the time in Hong Kong, we wont get to eat porridge besides those orders from a Dim Sum Breakfast, what's more its a local recommendation and this won't go any wrong. Through my colleagues, this is the famous Chicken Congee place in Shatin. As usual, out of curiosity, I walked down the street and was surprised by the number of shop units Shatin Chicken Congee has occupied. 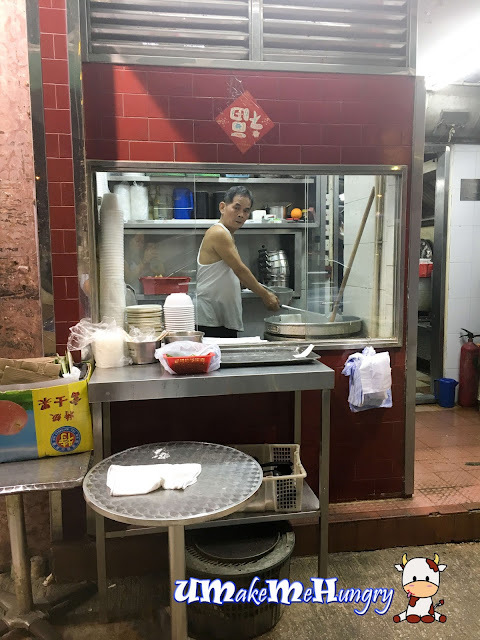 I took a look into their open kitchen, and came to realized such scene on street is quite common and unlike Singapore, most of us won't get to see this nowadays. Congee was served in a big pot to share among 4 of us. The type of serving in stainless steel pot with a familar design ladle brings memory back of home cook food at home. Not only that, it packed full of homely aroma as the entire pot was placed in front of my eyes. 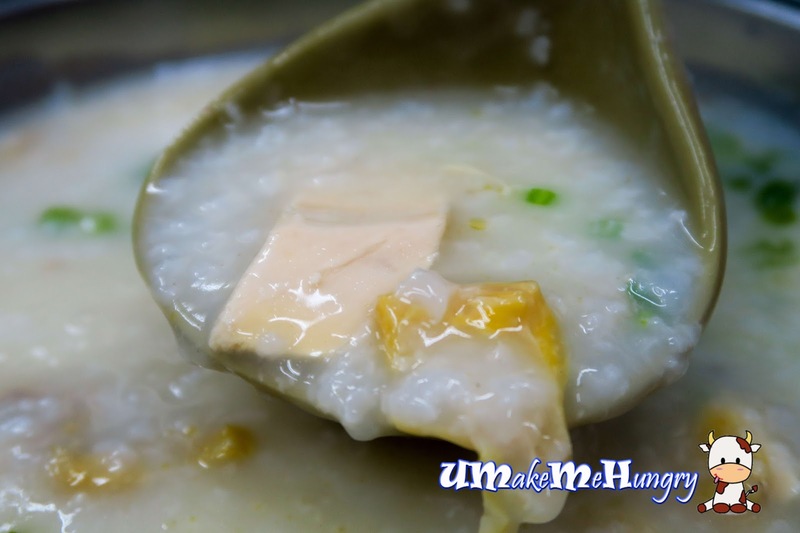 Cantonese is known for their watery type of porridge which we call it congee. The rice is being boiled and simmered under the heat for long hours thus the texture of the porridge. With the nature sweet taste of the chicken, the congee just taste better than plain. 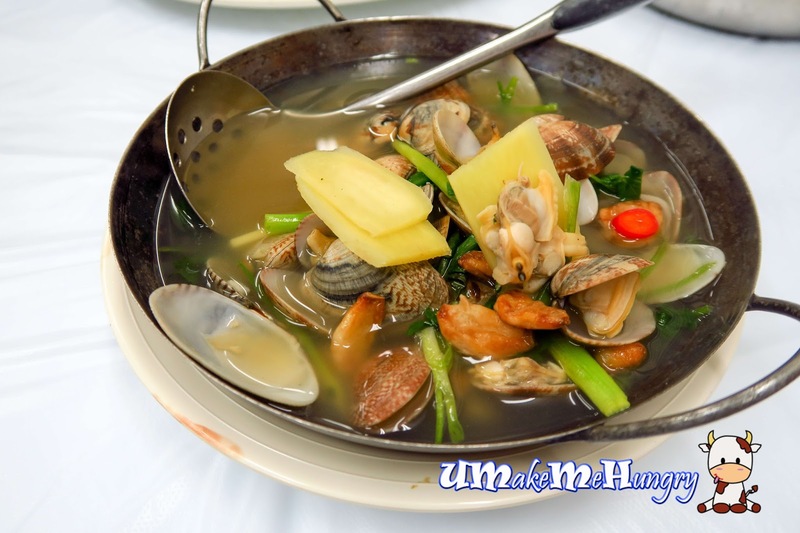 Lala was tasty and cooked among ginger, fried garlic in reducing of the seafood stench. Broth was sweet with nature taste from the Lala and light. It makes it simple to just drink the broth. 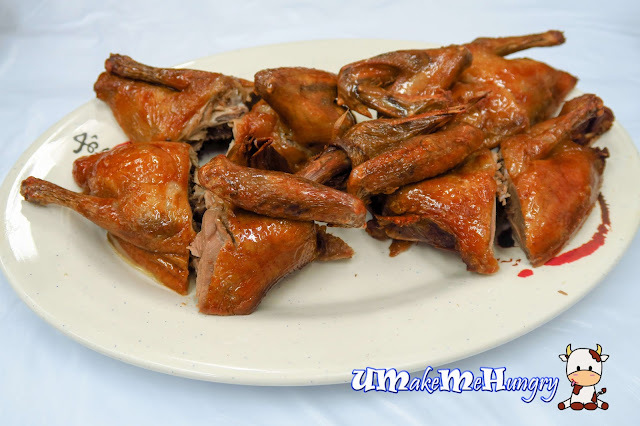 I'm not too much of pigeon fan as they have a distinct gamey taste that somehow is much stronger than the roast duck. Though skin is pretty crispy and best part it was not too oily. For those who enjoy roasted pigeon, this should be something that suits you. 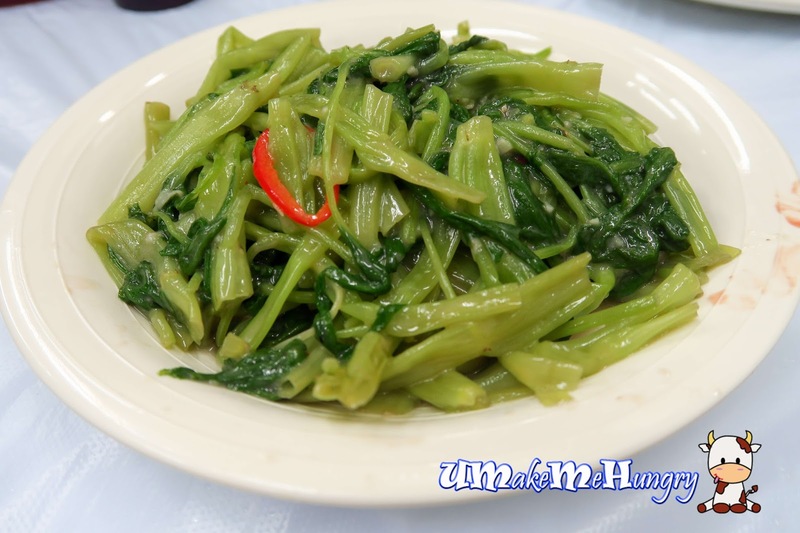 The comfort food from the greens. It was kind of milky in taste and totally different from what I had eaten all along. The bite was crunchy like Gang Kong but the way it was prepared was good I thought. Wonderful and fresh preparation of the prawns. 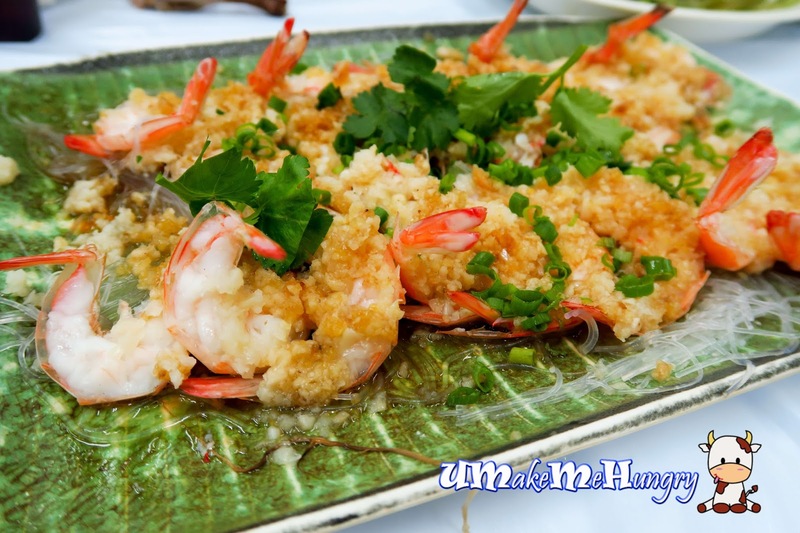 These prawns were steamed on a bed of vermicelli topped with alot of garlic, spring onions and celery. Entire experience was quite pleasant. No doubt that we are in Hong Kong, the kind of service here was totally different from what I had experienced in my previous trips as an identity of tourist. At least over here, service crews were not arrogant and chase us off after dinner to clear the seats. They gave us all the time to chit chat and clear the empty dishes politely. I won't mind being back here if there is a chance.